I could never seem to remember which Flashpoints are located where. 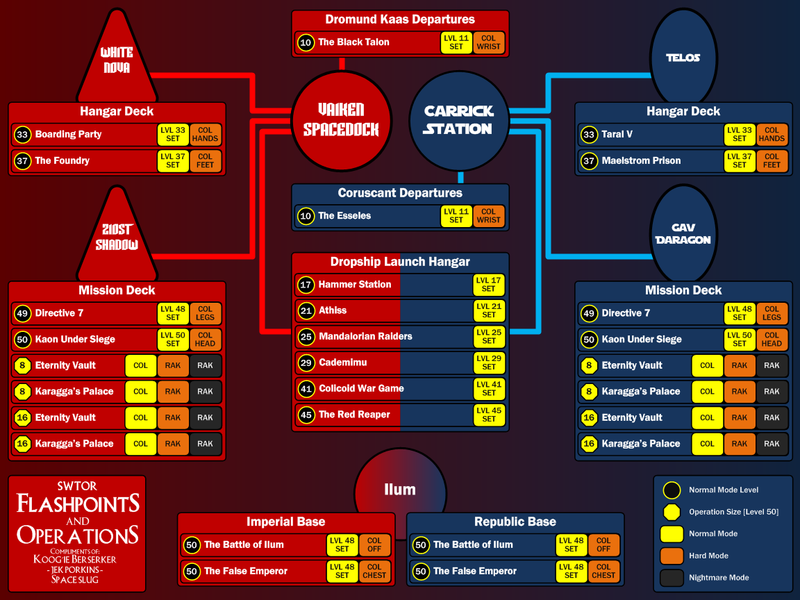 This will hopefully make it easier for people to navigate and plan. Which Flashpoint should/can we run at a given level ? Which Flashpoint should we run to get a specific piece of gear (Trying to finish your Columi set for example) ? Now we know which Flashpoint I want to run but where is it located?